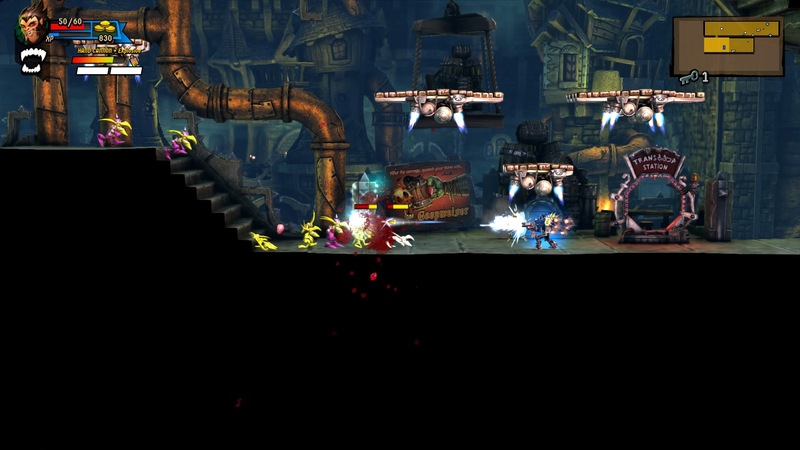 Coming from German developers Black Forest Games, Rogue Stormers is, as the name suggests, a rogue-lite. That entails the usual permadeath and gameplay being structured in runs sprinkled with random, procedural elements. 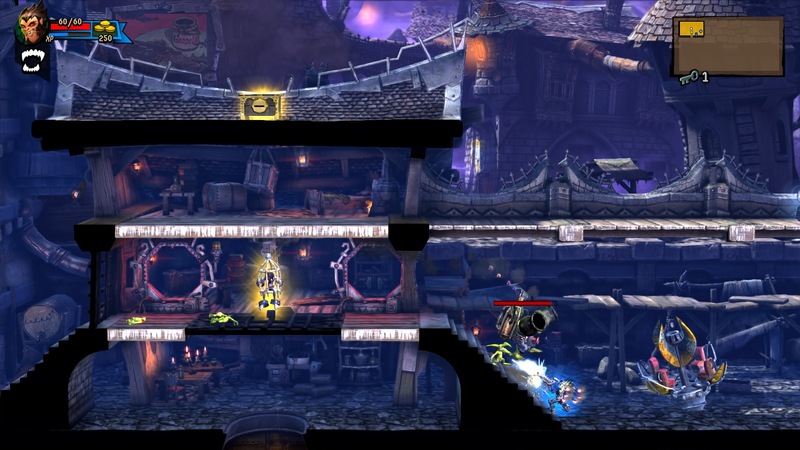 At its core, it takes cues from games like Mercenary Kings and Contra. It’s effectively a twin-stick side-scroller with movement and aiming handled by the left and right analogue sticks respectively. The remainder of your tricks are left to the shoulder buttons which include short dashes, a standard jump and a secondary weapon. It comes together well with the shooting feeling tight and responsive. The jumping and dashing add some welcome mobility and strategy when things inevitably escalate, even if your movement isn’t quite on par with the shooting. 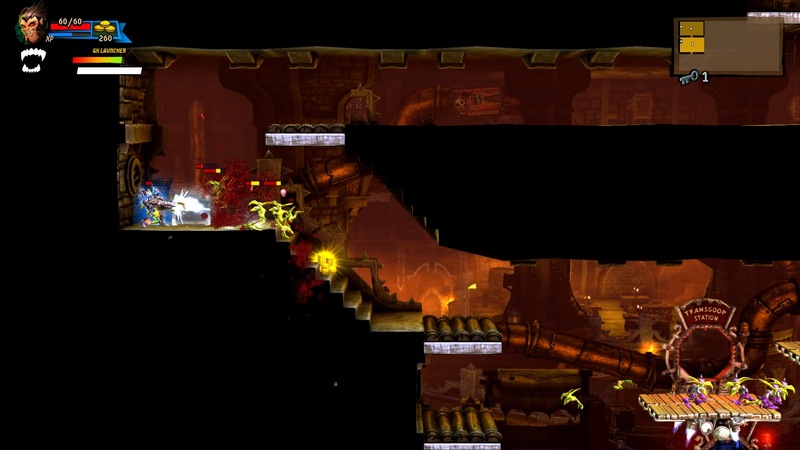 As you wander through the levels killing enemies, you’ll gain gold, experience and new weapons. Experience and gold carries over from run to run, with the former being used to level up. Each new level opens up a new persistent perk so, even if you’re struggling against the tide, you can grind your way to improving your chosen character. Gold is used to spin slot machines for various rewards and visit shops for items. With the addition of prisoners to rescue in exchange for guns, you’ve got a lot to consider during a run. Whilst this does give you some good reason to explore the level, the game provides a serious challenge. 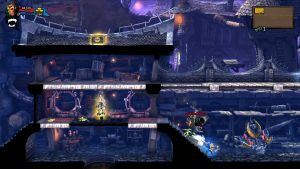 The basic enemies offer easy kills with heavier adversaries able to deal some serious damage to your meagre health reserves. Add turrets to the equation and you’ll quickly find things becoming hectic. This is where the mobility comes into play and those skilled enough will enjoy dodging their way out of tight spaces and reaping the rewards. Each stage (seven in total) culminates in a boss fight and it definitely pays to be prepared for them. They have unique attacks to overcome and success can feel satisfying. Victory in a stage unlocks more characters to play with which all have their own strengths. Until then, though, you’re stuck with Brecht. He’s a fairly rounded gunner with a secondary ability that ups his fire rate. 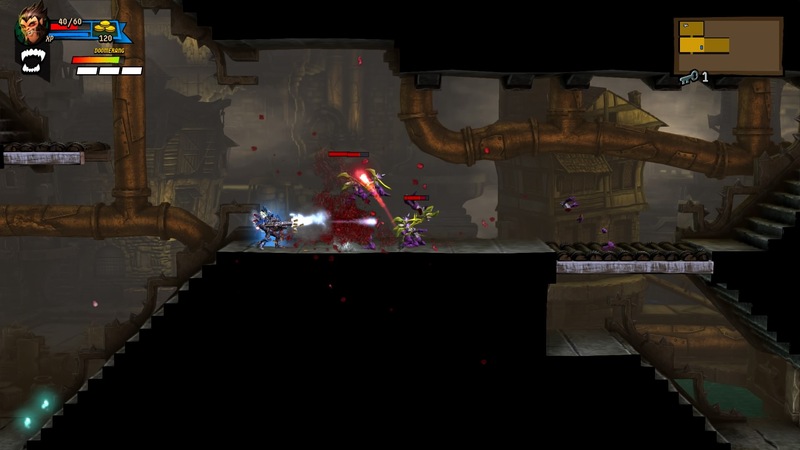 Visuals are cartoony and detailed with the different enemy types exploding in a bloom of colour and blood splatter. 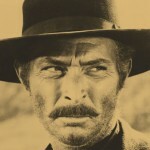 It’s nice to just mow a hoard of fodder down and the bigger threats are easily identified. It can get cluttered but you rarely feel like you’re lost amidst the crowd. The different tile sets offer some variety in the levels but I find some of them repeat all too often. They aren’t too bothersome to navigate and a handy mini-map displays items and pathways pretty clearly. Some might initially struggle with the small text on the heads up display. If you sit across a room from your TV, you might have trouble figuring out what your new sub-weapon does due to the small font they’ve chosen. It’s something I’ve gotten used to but it will definitely have a few people squinting. The PC version contains the same issue so, if you’ve experienced that version, you know what to expect. I’d also like to point out how loud the sound effects, particularly your weaponry sounds. There is some background music but it seems muted against the constant banging of your shots. It might as well not be there. Whilst I initially enjoyed Rogue Stormers’ bread and butter, the little victories are no longer hitting the mark. Some will find this addictive and I certainly see the appeal of just one more run but there are definite chunks where I feel any improvements I make are neutered by luck, rather than judgement. 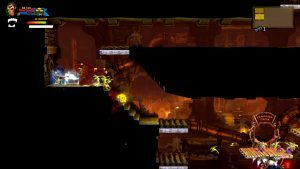 In spite of this, I feel there’s a good game here for those that want a Contra clone with some depth and the persistence definitely gives this game an advantage over other games occupying the genre. + Responsive controls. + Offers a nice level of strategy. + Provides a real challenge. + The map does a good job of preventing you getting lost. - Small text might provide some headaches. - The music is muted heavily against the constant gunfire. - Progression feels awfully gradual. - The challenge combined with the randomness might be too much for some. Rogue Stormers offers plenty of challenge for those that want it. 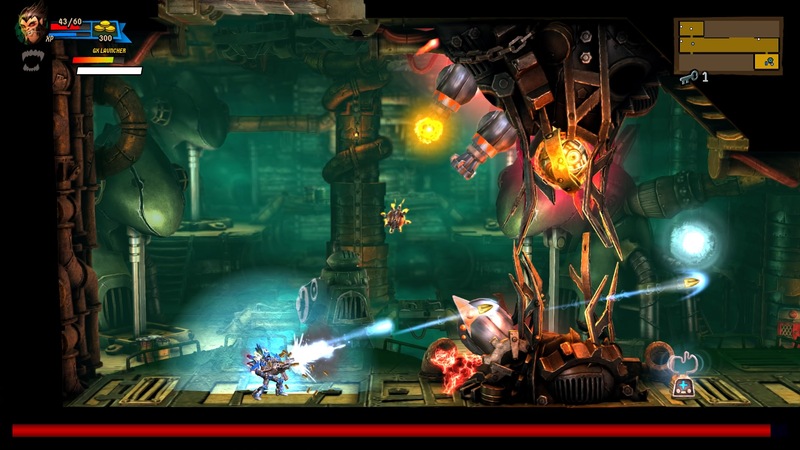 The responsive controls and varied weaponry allow for unique gameplay moments and will certainly keep players returning. I can’t help but feel the grind wears me down on this, although a person with greater skill and reflexes will get some joy out of this. Sometimes luck just won’t be on your side as you scour the levels for much-needed health although the persistent rewards guarantee progress. If you fancy a Contra clone with some strategic elements, this might be for you but progress feels too gradual for my tastes.